Normal body temperature is 98.6 degrees Fahrenheit, anything cooler than that will automatically feel refreshing. Setting your hot tub’s temperature around 90° would be a nice way to cool down in your hot tub. Remember, you don’t want to disconnect your tub as it needs to continue filtrating. Idle water inside the pipes could also cause corrosion which can then lead to bigger problems. 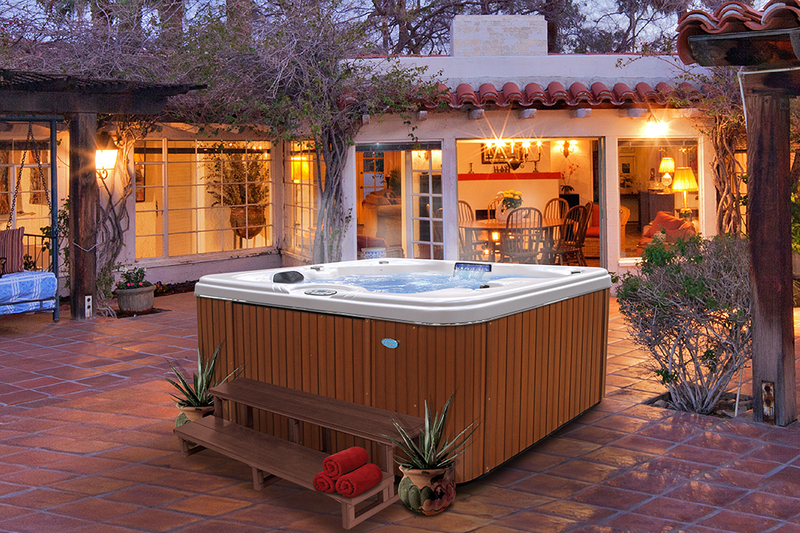 If you don’t want to lower your hot tub temperature, another option is to hot tub at night. Summer nights are usually much cooler, and you’ll be able to actually enjoy a warm hot tub instead of bearing the heat from the sun and the tub as well. It’s not too late for that summer body! Anyone who has been in a spa before is familiar with the relaxing effects of hydrotherapy. The heat from your spa increases blood flow and promotes deep muscle relaxation, increasing your flexibility. Cal Spas recently introduced Hot Tub Yoga, demonstrated by professional yoga instructor Kelly Deva. Watch Kelly demonstrate basic yoga poses inside a hot tub that will stretch and soothe sore muscles, while straightening and targeting specific muscle groups. To learn more about Cal Spas products and services make sure to visit www.CalSpas.com. To find your local Official Cal Spas Dealer, please click here.